C.A. 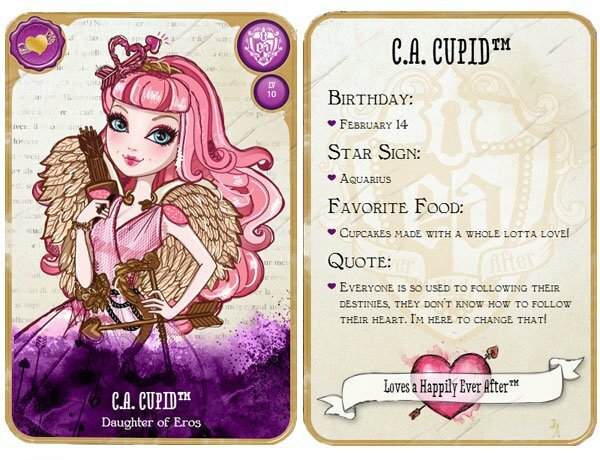 Cupid is the daughter of Eros, the god of love in Greek mythology. 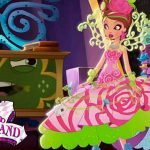 She moved from Monster High School to Ever After High to help the matters of love of the students. Unlike other students she doesn’t comes from a fairy tale in fact she is a myth. She says she wants to continue to help others navigate the thrills and chills of love. Parent’s Story: Daughter of Eros, her father doesn’t comes from a story, he is a myth. Her Secret Heart’s Desire: She says while she does love guiding people to their “special someone”, it’s about time she inculdes herself among those deserving of love. Her “Magic” Touch: She thinks her magic is helping people listen to their heart more than the fact that her arrow can make a person fall in love. Her Storybook Romance Status: Dexter Charming set her heart aflutter, but she is having such a hard time letting him know her ture feelings. Her “Oh Courses!” Moment: She is such a terrible shot with her bow and arrow. She says; “it’s not me!”. Her Favourite Subject: Mithology because she says that you have to know wher you come from before you can know where you are going. Least Favourite Subject: Crownculus because she thinks not everything can be solved with an equation. Her Best Friends Forever After: Apple White, Raven Queen and everyone in between with an open heart. She was great in Monster High as well. She is also very pretty. Will this Character Doll be coming out soon? I love both sides of her: the Monster High side and her Ever After High side!!! I am C.A. Cupid daughter of the Eros. 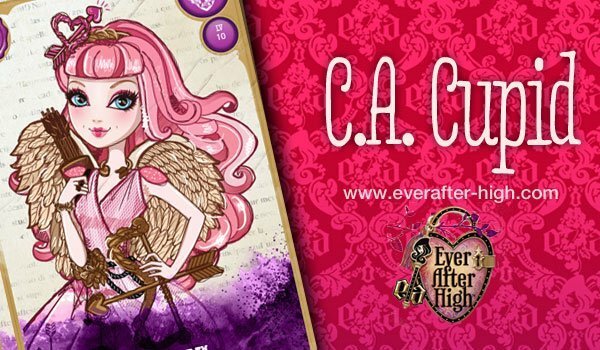 to bad she moved … but I like the EAH (Ever After High) version of her much better! She Is Awesome But I Do Think Brair Beauty Is Better!! I relay like C.A. Cupid because i love love. it’s dose not make sense but i think it dose. she awesome but not as awesome as RAVEN QUEEN. LOVE LOVE LOVE LOVE. that a new song i’m making. Question since Cupid came to EAH what would happen all the monster high characters came? Cupid is my least favorite!! 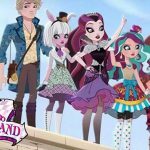 I don’t like her 1 cause she is a monster high and I don’t like mh, 2 she is soooooooooooo annoying, 3 she is the daughter of eros and that is a greek god witch is really bad so those are some reason’s I don’t like Cupid. My daughter loves c.a. Cupid. We think she is the prettiest. What do mean she moved? EAH and MH are made by the same company and she doesn’t portal to ever after high it’s just the way they made it. she is still a character from monster high and ever after high. I absolutely adore cupid she is my favourite person EVER!!!!!!!! I like the way that she likes Dexter and that she wants him to know but shes to scared as he likes Raven.